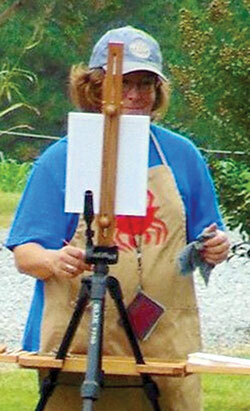 Daphne Benton pursues plein air painting. The Friends of the Northumberland Library will host an Arts Alive reception from 5 to 7 p.m. Saturday, January 7, at the Northumberland Public Library, 7204 Northumberland Highway, Heathsville. The reception will focus on a January exhibit, “Women’s Work in Oil and Pastel,” showcasing the work of Cate Kauffman and Daphne Benton. Although both artists do a variety of works at their Northern Neck studios, they came together through their interest in outdoor painting. Called plein air art, the painter reproduces the actual visual conditions on location. Both work in oils, however, Benton is also doing some watercolors and Kauffman spends most of her studio time working in pastels. There will be examples of all of their work at the show. The two women have similar backgrounds in art. They both were introduced to drawing as youngsters and showed significant promise in school. However, both interrupted their art work to raise families and pursue other careers. Each came back to painting after some years. Three years ago, she discovered plein air painting and found it to be “immersively challenging,” said Benton. Kauffman also developed an interest in plein air painting and now paints outdoors in oils about once a week. 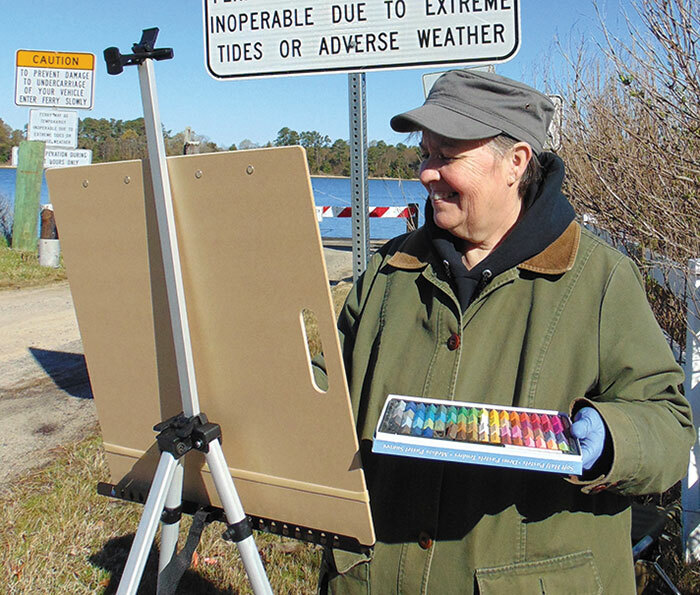 Both are members of the Northern Neck Plein Air Painting Group and the Rappahannock Art League.